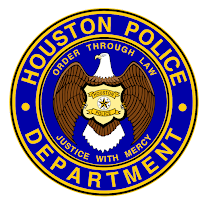 Houston Police Department: This week is busy! Also on Tuesday, April 15, recruiters will be at the University of Texas - San Antonio. Time TBD. 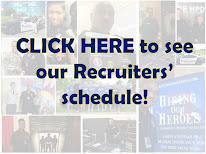 Also on Wednesday, April 16, recruiters will be at the American Intercontinental University and Aldine High School Career Fair. Exact times TBD. On Thursday, April 17, the Recruiting Division will also have representatives at the Warrior for Life Luncheon. It will be at "The Wynden," 1025 S Post Oak Ln. from 10:30 am - 2 pm.